Literally was just taking about this fantasy pin on Facebook with a friend. That set looks great, especially since characters don't really tend to look good in profile. Not sure what's up with all the complaints. Good luck to all of you who want these for your collection! 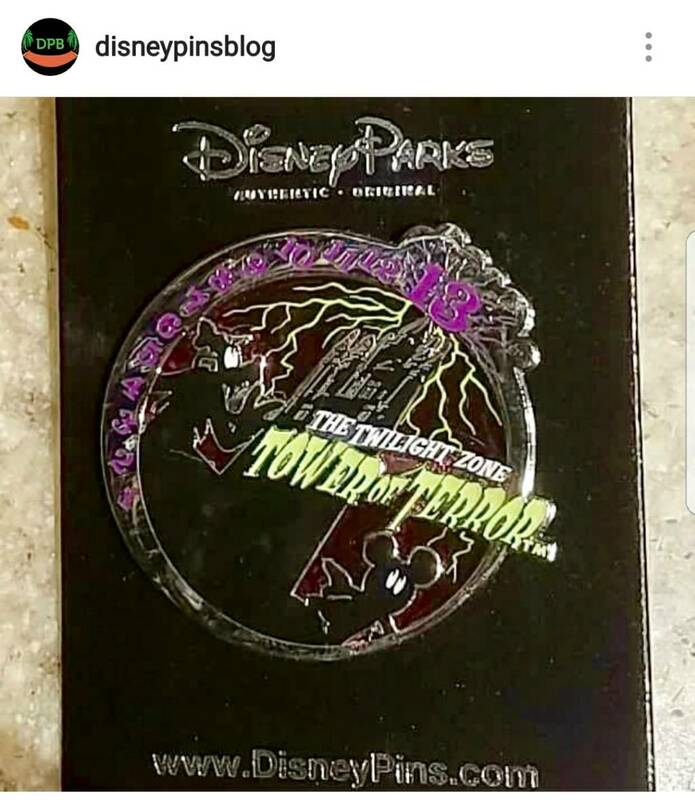 What a cool looking pin!new open edition at WDW. mickeymousje, itsFantasmic, arielsdinglehopper and 4 others like this. Woo hoo! I mean dang it! Anyone here experience a pick up from DSSH? I’ll be in Disneyland on May 3rd until 1:00 am (I think that’s when the event concludes). I’m not that young anymore and will be pooped. Now I see a release on May 4th and think this will probably be my only chance to buy pins on a release date. But, it’s not exactly next door to DLR and we have to drive home on 5/4. I’m not sure i can make this work, but wanted to know what the odds are for getting one of the LE 300 pins if I show up before 5:00 am to get a wristband. Is there sufficient parking close by, possibility of getting mugged, rioting....lol. Any advice from someone who has been there, done that? I’ll hazard a guess and say that there will likely be over 1000 people there given the popularity of the cursive cuties series and the popular characters in this set so <30% per person. Plan to be there til at least 8 or 9 to get your pins if you pull close to 300. Parking is not a problem with the parking lot across the street available for $2 with validation. It might be gross in the alley or on the street but it’s pretty safe. Hopefully you plan on having someone else drive home if you do come because that sounds exhausting! Thank you to DPF user @Girugamesh , we have pictures of the actual pins on DPF's FB site! So... I was thinking... Yes, I know... not a good idea. But the Cursive Cuties release on May the 4th - Star Wars Day to Many. What are the chances DSSH mixes it up and releases a BB-8 cursive cutie as the surprise. I do not believe I have seen Star Wars characters mixed in with other classic Disney characters, so it seems unlikely from that respect, but how perfect would a BB-8 cursive cutie be? Probably would be one of my grails. pincrazy, DitzyDreamer and Addicted to Alice Pins like this. Actually, I see that as a strong possibility. I was wondering why they would put these out on that date, and what you just said makes a lot of sense to me. Sami, pincrazy, watzshakinbacon and 2 others like this. Now that you mention it, a Porg would probably be more likely, and that would be pretty sweet. xdattax, TheMickeyMouseRules and Ajk like this. I did the pick up once while visiting DLR from Chicago. I think I left DLR about 3:30-4:00am. Traffic was light, but it was a long drive. It was Villain Cuties, 2nd release, and my sister got a good number but mine was bad. I made some trades, talked to some people and someone found someone who gave me a good number. Probably a DPF member, but I did not know any names at the time. Ended up at the McDonalds down the block for breakfast until we could get in line for the pins. Not as much hype back then, but there were probably still over 400 people there. It was fun, bit made for a really long, tiring day in the car. DitzyDreamer, raikipins and Disneychildwithin like this. Holy smokes...that's insane! That's one way to pay off bills. On their Instagram they said they “found another set on the sidewalk” and kept it. Like... idk if that was a joke but I can’t believe they wouldn’t turn that in to WDI. I'm sure that's code for "A CM bought them for me but I'm going to sell them and the CM doesn't want to get in trouble." CCofRR13, Pilotprincess916, DitzyDreamer and 1 other person like this. Are they allowed to buy multiples or is that post-sale trading? If the idea is that these are a benefit for cast members and they're not supposed to resell them, I'd be surprised if they allowed more than one of each per person. Oh that makes so much more sense, LOL. I was like... what kind of people wouldn’t turn those in?? But at the same time - they’re clearly cast members as they have FIVE SETS - does it really matter if they’re selling ones someone else bought? There *may* be a discussion on a certain forum about this. People *may or may not* have offered fair solutions and MOG never responds. I'm taking a total quality class right now and they would be an interesting case study on what not to do. Yes one (1)/cast member is what I understand. 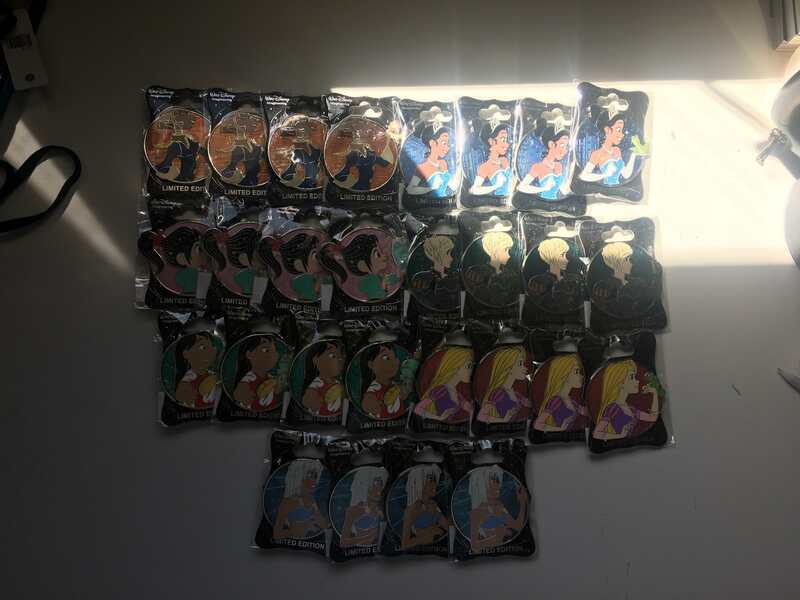 Someone appears to have four (4) Disney cast members who were willing to pick up one set each. From what I have been told (by a cast member who actively trades) the cast member's employee ID badge is swiped when they purchase cast member pins and this would limit the cast member to one each of a limited edition pin. 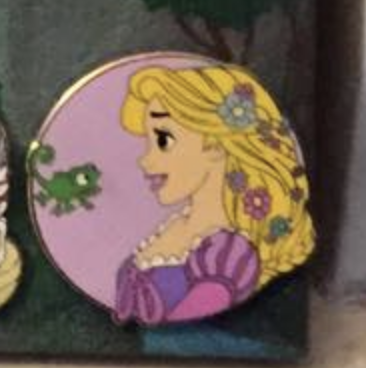 I am not sure how it works with open edition cast member pins, but one set is what I understand for limited edition. I would assume this is true of WDI pins... but if anyone can confirm? Late edit: I see one/person was confirmed. Yes, agreed a Porg would be likely and I would love to have that one for my collection too! CCofRR13, raikipins, Tokaji and 1 other person like this.